For as long as I have loved beauty I have also loved skincare. 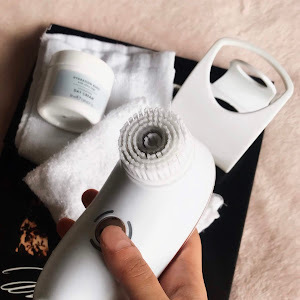 It's a major part of my daily routine and finding the perfect products for my skin has always been a priority, after all, what we put on our skin really effects it. I have combination skin which can sometimes lean one way or the other on the spectrum, sometimes it can be oily others dry, so I love trying out products and testing out how products feel and work with my skin. 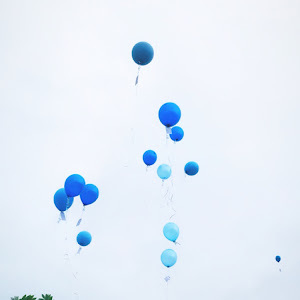 Lately, I have been using a few anti-aging products and although I am only 21 I have read that using these products when young can benefit you in the future. Chances are if you Google "When should I start using anti-aging products?" the results will differ from source to source, but the most popular response will be in your early twenties. This isn't because your skin begins to age during this time frame, in fact, many believe that if you're living a healthy lifestyle your skin may be in its prime during your early twenties. The reason for using anti-aging products so young is because it slows the process of ageing skin before it even begins. If we are being completely honest if you already have wrinkles no amount of anti-aging products are going to completely remove them from your face, but if you reduce this process before the wrinkles have begun to appear then you can reduce how many you get and slow the process down. When it comes to anti-aging products personally I prefer hydrating and plumping products as they work best for my skin type and give the perfect finishing look to my skin both in the present and hopefully the future. I love a hydrating product, our skin needs hydrating to keep the elasticity up, give a glow from within look and it appear much plumper, locking in the youthful look. Firming products give skin that bounce which young skin generates all by itself, while older skin doesn't so it is always important that a good anti-aging product firms the skin. Firming eye creams are good for all ages, however, as I don't know a single person who doesn't suffer from a lack of bounce around the eye area which can age the face. 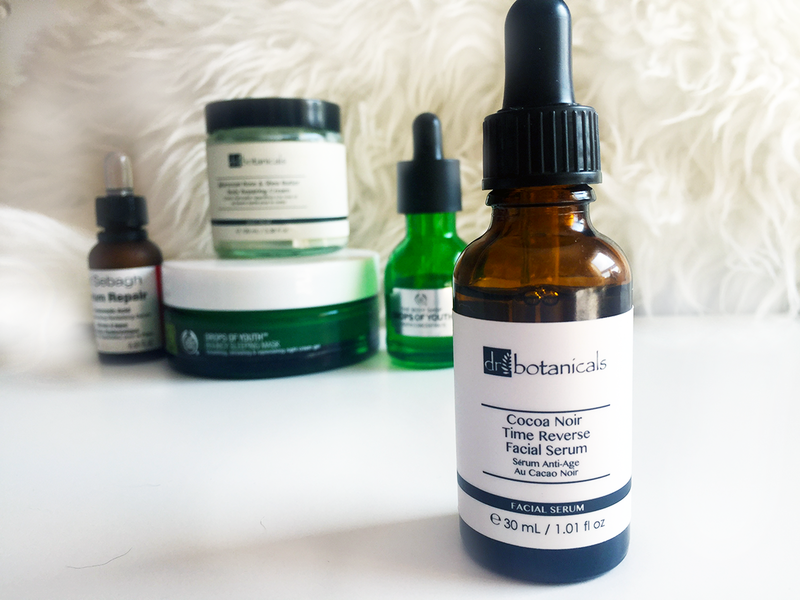 Recently I have added the Dr Botanicals Cocoa Noir Time Reverse Facial Serum into my skincare routine and it is working wonders on giving me skin I am loving right now while also keeping my skin young for as long as possible. It's a product that is beneficial both presently and years from now, which is why I love anti-aging products, it is like killing two birds with one stone. Although we do no animal killing or harming over here with Dr Botanicals' strict vegan-friendly promise. The product is a typical serum size with a 30ml bottle designed in their typical brown glass with white and black labelling. When I first opened the serum I just could not get over the scent, it has such a strong coconut scent, it could be overwhelming to some, but for me, it is absolutely perfect. I began using this product daily around a month ago and I am very impressed by it. I like to apply it to a freshly cleansed face using clean hands, I drop half of the product from the dropper onto my fingers and rub the product between my hands to heat it up before I rub it all over my face in circular motions. It takes the product around a minute to two minutes to dry in completely, which isn't a terrible waiting time but isn't as quick as other serums I own, however, it does dry to a non-sticky finish. I do this each morning and for the past month, I have had incredibly hydrated and glowing skin. The strong scent is one that fades slightly, but a hint of coconuts lingers for a while after the product has dried in. I can't really speak for the long term benefits the product has had to my skin, but at present, it is leaving my skin glowing, hydrated, plump and with a beautiful scent. The product promises firmer and plumper skin with a youthful glow and already I think it has proven it can provide these to both ageing and youthful skin. 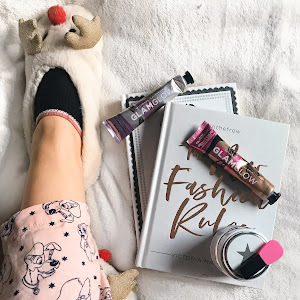 Some of my other favourite anti-ageing products are The Body Shop's Drops of Youth Range, especially the bouncing sleeping mask with I featured in this blog post. It is a wonderful overnight sleeping mask with an incredibly innovative and unique texture. I use it every night and wake up with hydrated, plump and glowing skin. Plus it is fun to apply due to its bouncing texture. 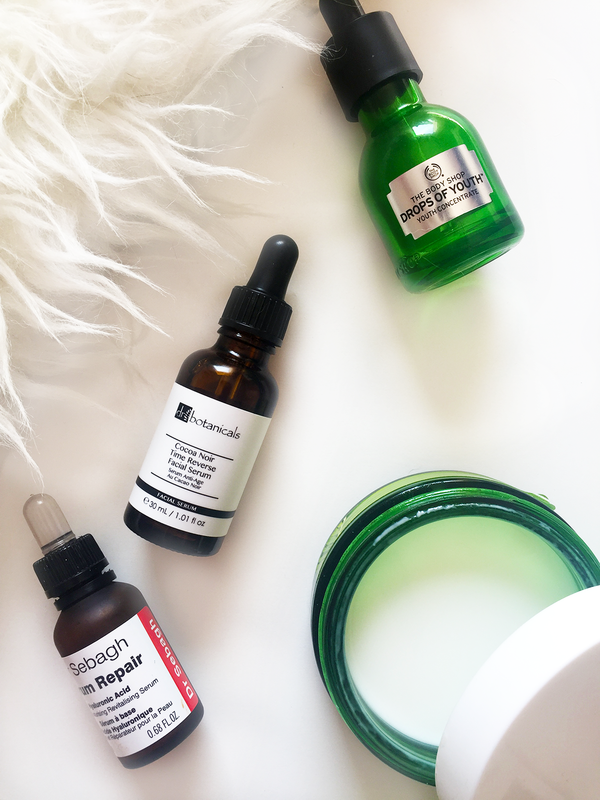 I find it best to use anti-ageing serums as I feel they really seep into your pores and do the best for your skin, so a lot of my anti-ageing products are serums, so this little guy fits right into the collection. 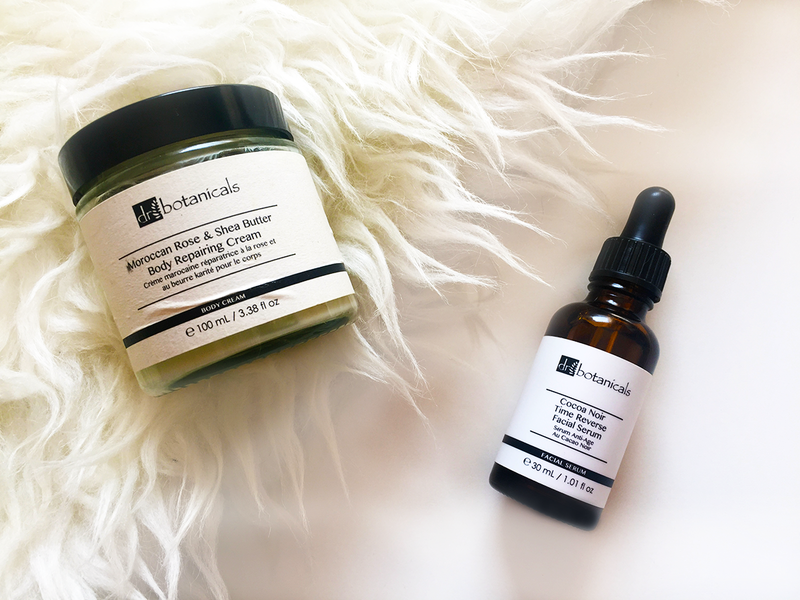 Dr Botanicals is one of my favourite brands at the moment with their cruelty-free products, I previously wrote about their Moroccan Rose and Shea Butter Body Repairing Cream (click here to read it) which I have now finished and am onto my second jar of. Both products are absolutely incredible and I cannot wait to add more Dr Botanicals products to my ever growing skincare and body care collections. The most standout thing for me about this brand is their moral, they are cruelty-free, vegan-friendly, free of parabens and preservatives, they are everything you could want from a skincare brand in 2017. Do you use anti-ageing products? How do you feel about starting them in your 20s? What is your favourite product at the moment? 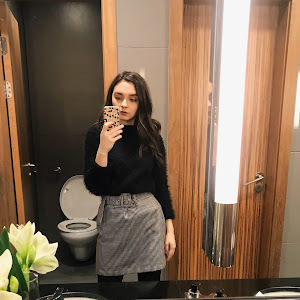 THIS POST WAS IN COLLABORATION WITH DR BOTANICALS BUT ALL VIEWS ARE MY OWN. Edited: This blog post was written and scheduled before the terror attack on Monday the 22nd and I am in no way, shape or form trying to deviate from the incredibly horrendous act that took place. 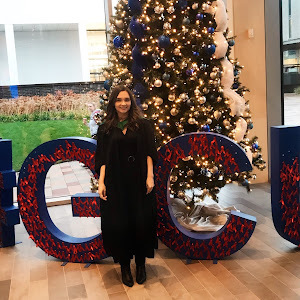 I am posting this blog post as I feel that we have to continue on, we have to do what we love and not take anything for granted, including our freedom to do what makes us happy, mine is blogging. We cannot allow ourselves to be scared into a stand still, that is what they want from us, we have to fight back by showing that love, compassion and positivity will outshine this horrendous attack. RIP to the victims of the attack, my love and thoughts go out to everyone who was affected by the heinous attack which took place.